"Developing Others" ranks dead last on just about every organizational skill level survey with which I've been involved or have read. It's not because people lack awareness of its importance; quite the contrary. It's because development takes time. It involves getting to know people and their capabilities at more than a surface level. To develop people, you have to follow a few fundamental steps. 1. Start with an accurate picture of the person's strengths and weaknesses. They can't grow if they don't have good information about themselves. And managers can't help them develop without the same kind of clarity. 2. Get ongoing feedback from multiple sources. The key words here are ongoing and multiple. Ongoing: Performance improves with information that is provided as close to an event as possible. That way, the situation is still fresh and the details clear. If I get feedback in November about something that happened in February, what am I really supposed to do about it? And I have to ask myself: "If it's so important, why did you wait this long to tell me?" Multiple sources: We all have bosses and peers; if we're managing, we also have direct reports. When I do 360s for clients, I always insist on feedback from people outside of the person's direct chain of command, even external customers if there is a lot of customer interaction. When someone is working across boundaries on a project, there's a wealth of information available about the ability to build relationships and influence outside of the "power" sphere. What are you learning that's new or different? Where have you seen yourself improve most in the past year? What have you learned in one situation that you can now use in others? 5. Use coaching, mentoring, classroom, online, books, coursework, and stretch assignments to promote and reinforce learning and development. One of the byproducts of developing your people: you gain satisfaction and stature as a result of their success. This Post appeared earlier and was requested by a long-time subscriber. You want to be creative and breed creativity in your workplace, right? Do you consider yourself to be "creative?" I was just talking with my cousin, Len, a long-time public school teacher and Principal. Len is also a master coach He noted that if you ask first-graders how many of them are "creative," pretty much all of the hands in the class go up. They smile. They show their colorful drawings and finger painting and maybe even compose a song along the way. What happens when the same question is asked of the same kids a few years later? The responses drop to nearly zero. And the kids are still in elementary school. Fast forward to your business meeting. Someone says "Let's get creative about how to grow the market in Asia. We've got until 5 o'clock." Are you and I seeing the same thing here? We've got little kids who are convinced they are creative. Then we've got bigger little kids who don't think so anymore. Now we've got adults who are sure they aren't creative being asked to create--and with a deadline. This post is a call for thought, not a rant. (Well, a little one). It seems to me that we have taken an entire population of creative youngsters, tell them to color inside the box (or else! ), and now tell them to "think outside the box"--(or else!). 1. Aloneness. Being alone allows the person to make contact with the self and be open to new kinds of inspiration. 2. Inactivity. Periods of time are needed to focus on inner resources and to be removed from the constraints of routine activities. 3. Daydreaming. Allows exploration of one's fantasy life and venturing into new avenues for growth. 4. Free thinking. Allows the mind to wander in any direction without restriction and permits the similarities among remote topics or concepts to emerge. 5. State of readiness to catch similarities. One must practice recognizing similarities and resemblances across to perceptual of cognitive domains. 6. Gullibility. A willingness to suspend judgment allows one to be open to possibilities without treating them as nonsense. 7. Remembering & replaying past traumatic conflicts. Conflict can be transformed into more stable creative products. 8. Alertness. A state of awareness that permits the person to grasp the relevance of seemingly insignificant similarities. 9. Discipline. A devotion to the techniques, logic, and repetition that permit creative ideas to be realized. So now we go to our boss and say "I'd like to have some extended alone time for inactivity and daydreaming so I can come up with a creative idea for your strategy." (Please let me know how that conversation goes). Then next time you have charge of a meeting or idea session, how about using some of the above items to lay a foundation for creativity. Build in "alone time" by having people think about the task well in advance. Use a mind-mapping activity to address numbers 4 and 5. I hope you'll use these to be intentional about creativity. It sounds almost like an oxymoron--"intentional creativity"--but according to number 9 it isn't. Intentional Creativity--that's a lot easier to sell to your boss than some alone time. More and more, job candidates are asking the question, "What will I learn here?" If they don't like the answer they may keep looking. For leaders, managers, and heads of projects, helping people learn is a critical contribution to individual and organizational success. So, here are Four Ways to Impact Learning that will serve you well. Impact on Curiosity: For every action there's a reaction. When we say or do something, people want time to react to it, talk about it, and understand what it means to them. Practical Application: Allow time for questions and answers. The give-and-take after you speak is where people actually learn and where they begin to develop an affinity for, and commitment to, the topic. Even if you're an expert, the learning takes place as a result of people wrestling with the information or idea rather than being the recipients of a data dump--no matter how eloquent you may be. Impact on self confidence: How you deliver and discuss the information impacts how people feel about learning it. People with position power--managers, supervisors, team leaders--all have the ability to build confidence in the learners or create a defensive atmosphere. Practical Application: Tell the group at the outset that you value their questions and that you hope they'll jump in when they experience an "Aha!" or a "Help me, I don't get it." When someone asks a question, throw it back out to the group to give someone else a chance to form an answer that may be framed in a way different than your own. Thank people whenever they ask a question or offer an answer. Impact on motivation: Even as youngsters, we knew who the teachers were who made learning exciting, interesting, and engaging. Why not be the "managerial version" of your best teacher. And remember this: Managers Are The Mediators of Motivation. Practical Application: Take some time to develop questions and break people into groups to address them; if you're talking about a new marketing approach, give people a block of time to do a concept and present it to the group. You know the content. The time you spend designing the right approach will pay off in engaged learners and, ultimately, effective learning. Impact on Creativity: Unless you're involved in safety procedures, accounting rules, or a regulatory issue, people want to be able to offer their own "variation on a theme." One of the reasons to bring people together is to capitalize on the collective creativity and varying viewpoints in the room. Practical Application: Give people latitude to take the discussion in directions that you never thought of. Remember, you're in charge--but to try to be in control will shut down the kind of learning that the group--and you--have an opportunity to experience. Bonus: When the noise level goes up and people start debating, discussing, and delving into the topic, you've been successful. Let it go until the energy begins to die down. Then, capture the points that they were making with their co-workers and discuss next steps. When learners sit passively, you may feel more relaxed because you feel in control not having to respond to questions or manage the group. What it may really mean is that they aren't engaged, aren't learning, and are waiting "until the bell rings" so they can go back to their workspace. What are your unique methods for impacting learning? How many times have you studied, thought, worked, conversed, or meditated in order to reach an "Aha!" moment? It seems to me that we have a tendency to treat "Ahas!" as if they are a result. Yet when you look at them carefully, they signal a beginning; a sign that there may be a new path to pursue, something new to learn, or a situation to re-visit in a different way. In fact, I received that "Aha!" in a conversation with no less than the Conversation Agent herself, Valeria Maltoni. Some time ago we were discussing just about everything from marketing to book writing to organization effectiveness when she wove her "Aha! "into the conversation. It was a beginning that led to today's post. 1. When was your last "Aha!"? 2. Did it lead somewhere? 5. Is it time to re-visit it to see what you might have missed? When I got out of the Army, I went back to college to complete the last few requirements for my degree. I also went back to being a working--and paid--musician. Life was good. Except for the next "Aha!." "Come in and meet my father"
Me with mandatory strong handshake: "Hello, Mr. ____, nice to meet you. " Father: "Hello, young man (fathers do not utter the actual name of the perceived weasel-disguised-as-a person. Now that I am the father of a daughter, I understand the dynamic. But I can't reveal it, otherwise I would betray the other fathers-of-daughters-about-to-be-dated-by-the-weasel). "Tell me, young man, what do you do for a living?" (This is a man-question to determine the extent of your slackerness). Me: (proudly): Mr. _____, I'm a professional musician and I play at ______and ________. Father again: (Continued silence, furrowed brow, followed by look of disdain). Father, turning to wife while walking out of the room: "Ethel, tell him to have her home by midnight." a. "I am a musician" was not a good thing to say, no matter how much money I made. b. I would have to do something that appeared to erase my perceived weaselness and make me respectable. So I did a little stint at a Junior High School. Aha! Working with 13 and 14 year-olds clearly wasn't going to do it for me. I concluded, rather hastily, that every existing 13 and 14 year-old should be universally housed in their own country or state--say, North Dakota--until they are 15. Obviously, High School would work out better for me. Elementary School. Yes, but what grade? Third graders still had "accidents." Fifth graders were reaching puberty. And if I were to be somehow elected President, they would soon be sent to North Dakota anyway. 1. Be crystal clear about the learning goal. If I wasn't clear, the day didn't go well. Minds and bodies gravitated toward something that did seem clear. The world--even the world of fourth graders--abhors a vacuum. 2. Show them the connection between what they would learn and how it works in life. If they couldn't see how "it" was real, eyes glazed over. 3. Understand each of the kids and how they learn. Hands-on doers, Readers, Questioners, 10-year-old Cynics. They were all represented. 4. Create an experience that would allow #3 to be satisfied. I always thought that this was the toughest part. How do you achieve the learning goal in the designated amount of time with so many different kinds of learners? 5. Manage the experience and follow up with each of the kids. Once I put the activity in motion, I had to touch base with each of the students, check out how they were doing, tell them how they were doing, and then formally evaluate how they did. Do Any of These Related Management Applications Give You an "Aha!"? 1. Managing starts with clarity. The time a manager spends getting clear about what needs to be done will pay off in focused effort from increased understanding. 2. The Manager is the Mediator of Meaning. Clarity is the first part of the issue. The other part is taking the time to show exactly how "what" you are proposing to do is directly connected to the success of over-arching goals. 3. Managers Understand How People Learn and Work. Intellectually, we all acknowledge that people learn differently and work differently. Really successful managers take time to pinpoint what those styles are and genuinely acknowledge their inherent value. 4. Managing Means Knowing How to Orchestrate the Experience. When to have a meeting or not have a meeting; who needs one-on-one attention? What isn't negotiable and what will work best with a full discussion? Is the objective really achievable--at the level of quality desired--in the originally designated timetable? Managers, go ahead and add your favorites to this list. 5. Managers Lead from Every Proximity. You'll spot a good manager out in front of the group; alongside of a direct report who is struggling; or standing in the back of the room listening to a discussion and only joining in when re-direction or a fact is needed. And everyone knows how they're doing in relation to what's expected. I hope that something has sparked a thought or idea that will create the beginning of something new for you. And I hope you'll take a moment to subscribe using the Big Orange Button, email, or one of your favorite feeds. It will be good to see you back again. Is everyone getting what's needed when you make changes? "My people are long time employees. They're highly educated and have a lot of experience. If I start managing too closely, they'll lose their motivation." I'm thinking,"What motivation? Apparently they aren't getting much done! His approach to the situation isn't at all unusual, is it? We live in a time when managers are getting messages that say they should be consultative and participative. OK. But what happens when the work group doesn't know what to do or how to do it? When there is a change, people want clear, strong direction. We all want to know what, where, when, why, and then, if the situation warrants it, how. Think about it: when we face the unknown, we start to get a little insecure. What do we look for? Direction. Strong leadership. Clarity. Help. It has nothing to do with longevity or advanced degrees. It has to do with diagnosing the willingness and ability of the people and then adjusting management style accordingly. In the case of my manager friend, he used misguided assumptions instead of proven research in his initial approach. I'm a big proponent of Situational Leadership and have been since it was introduced. Paul Hersey and Ken Blanchard teamed up to introduce the practical application of the Ohio State Studies (Go Buckeyes)! As Manager of Management Development at Pfizer in 1981, I was involved in bringing Situational Leadership into the developmental track; it's still a critical part of development there today. The principle is: Before you know how close to manage or how consultative to be with your people, you need to know where their willingness and ability is in relation to the task at hand. The less people know, the closer you manage. The more mature and effective they become, the less you have to direct and the more consultative you can be. If you've ever taught a child to ride a bike, then think of that as the model. When they start, you have to demonstrate, help them on the bicycle, hold onto them, and not leave their side. As they get a little confidence and are able to go a short distance on their own, maybe you jog alongside if you have to catch them. When you see them smiling and riding a block or so on their own, you shout encouragement. And when they disappear from view; well, yell "I'm going to the house for a cup of coffee." That way they'll know where you are if they need you. Managing people is a constant series of diagnoses and appropriate responses. It's never all of one thing. And it's never 100% direction or 100% behaving as a consultant to your team members. It's always based upon what people need from you in order to move forward along the performance curve. And just to emphasize the point once more: Change=More Managerial Direction. Any manager who is introducing something new has to be prepared to communicate more, provide more direction, and continually diagnose where individuals are throughout the journey. What's your experience? Are you giving or getting the right thing at the right time? If not, a little diagnosis and and the appropriate leadership response will take you where you --and your folks--where you want to go. How is your organization using professional assessments? Self-assessments, 360 degree feedback, assessment centers, and other similar tools are widely used in the workplace. What's your experience with them? A lot of information is generated during the assessment process. I was reviewing some feedback that was coming in for a client and realized that there are lots of good uses for it. And we may not always be taking the best advantage of the information and the potential process. So. . .
Would Some of These Help You and Your Organization? 1. In the case of 360 feedback, encourage the recipient (I'll use the word "Manager") to get together with the group that generated the data. It's an opportunity, at minimum, to acknowledge the time and energy they put into the activity. Suggest that the Manager share the themes and take-aways from the data. 360 activities have some of the same dynamics as surveys. Participants want to know what happened with their input--and what will change as a result. This is a chance to do just that. And, if the Manager has misinterpreted something, the group can add clarity. Yes, I know that the feedback is anonymous, blah blah. However, the act of inviting the respondents to come together also invites a deeper level of candor. And the fact of the matter is: These are people with whom the Manager has to work. Sooner or later it will be time to increase the honesty of conversations. This is an ideal framework in which to do that. 2. A Good Reason For A Good Conversation with "The Boss." If you're the Manager, make an appointment with your boss. Tell what you think you want to do differently. Ask if the boss sees the data and your intended changes in the same way. Or differently. Here's the principle: Giving straight feedback is difficult for a lot, if not most, people. Including the boss. If you provide the data and ask for suggestions, you've done the work that your boss my find tough. It may be the most meaningful conversation the two of you have ever had. 3. A Good Reason For a Good Conversation with Your Reports. Make it a point to informally share what you learned and are working on with each person. Do it in the course of normal conversation. If you have a full group meeting coming up soon, take 10 minutes to talk about the assessment, the process, what you learned, what you are working on, and what kind of support you need to do those things. The payoff? You get help. You set the model that getting feedback and doing assessments is a valuable activity. 4. Self Assessments. Any or all of the above will be helpful to validate your self perception. We have ways of deceiving ourselves on both scales: positive and negative. Have the conversations that will give you an accurate picture. Let's assume that you--or whoever is being assessed--will use the info for development. Here's the payoff you don't want to miss: the data provide an "objective" reason to have a "subjective" conversation. When you rally around the information, you are in an arena that's focused on performance factors and not necessarily you as a person. (That may be a result. Why not find out while you still have time to make changes?). Most of all: an assessment offers a legitimate reason to have the kind of conversation you've been missing. I'll tell you how. How to build individuals and teams. How to create the conditions for motivation and engagement. Here it is: If you are a manager giving an assignment, be clear about the "what"--then let your people deliver on how it will be done. Why? Because you hired them for the how. Think about it. You looked at resumes and then hired people who had something that seemed unique or different. When you tell people how to do their jobs, you take away their identity. We all want to contribute. And that contribution is in the form of the unique way--how--we do our jobs. Action: Define and get commitment on what you want done--then let people use their unique talents to decide how to do it. They'll grow by using their own trial-and-error process to perfect their methodologies. You'll be seen as the manager who knows how to develop and engage your team. Suddenly, you'll find people approaching you and asking "Hey, how do you do it?" How Do You Build Performance? I'll tell you how. How to create the conditions for motivation, engagement, retention, and performance. If you are a manager giving an assignment, be crystal clear about the what--then let your people deliver on how it will be done. Because you hired them for the how. Think about it. You looked at resumes and carefully selected people who had something that seemed unique or different from the others. When you tell people how to do their jobs you take away their identity. We all want to contribute. And that contribution is in the form of the unique way--how--we do our jobs. Action: Define and get commitment on what you want done, then let people use their unique talents to decide how to do it. Does this mean you walk away and totally ignore how things are getting done? No. Your payoff comes when you orchestrate quality, deadlines, and feedback. There are certain jobs, especially those related to safety, that don't offer much variation on the "how. ": airline pilot, nuclear power plant operator, brain surgeon. For most of us, though, trial-and-error works well to perfect our methodologies and offer a sense of accomplishment. This is why more and more employees are looking for managers who coach. If you are unsure of how to do that, go ahead and download the free guide available in the right-hand column. More than a thousand readers have found it helpful and I hope you do, too. "Whatever is unresolved becomes a stressor"
Managers add stress to their lives by postponing important conversations and letting them build up until their heads start to feel like a balloon waiting to burst. Or, we try to submerge those thoughts until we discover that they tend to pop out in strange and often harmful ways. How many times have we received--or given--a terse comment that really was the result of some long- unspoken feeling? Feedback started as a term used to describe the signals sent from a rocket back to earth in order to determine the accuracy of the rocket's course. By tracking speed and trajectory, ground crews could determine when and where to make corrections. At some point in time, the term Feedback was incorporated into business language as a way to talk about performance. And, as in rocket flight, it has been determined that the best way for a person to stay "on course" is to assess where one stands at any given moment in relation to the task or goal at hand. Here's the really important point: The chances of impacting performance increase with frequency and timeliness of feedback. That implies the need for ongoing "How are we doing?" conversations. It's our best chance at knowing whether we're on track or not. So, What Gets In The Way of Giving Feedback? 1. Let's face it: few of us enjoy hearing about those areas of work life where we're coming up short. It's human nature. The flip side is that managers are people, too, and they have the same thoughts and feelings. So it's not exactly a peak experience being the proverbial "messenger" even though it comes with the job. 2. The term "feedback" has morphed into "Here's what you need to correct" instead of "Here's how I think we're doing." 3. Feedback has been institutionalized to the point where it is often done at yearly or semi-annual performance reviews. That's usually too far away from the actual performance for a person to make the kind of changes that will alter an outcome. So, it become a "Gotcha!" 4. It takes a relationship built on trust to have meaningful conversations about performance. Trust comes from a series of interactions where people have made agreements, talked about how things were going, and then lived up to what they said they would do. And if something goes wrong, one person points that out to the other. They talk about what to do differently. And they learn that, even if something does go wrong, they care enough to bring it up and do something about it. I've said this before: The people you trust the most are the people who tell you the truth--good and bad. If it's good, they offer encouragement. If it's bad, they offer ways to work with you to sort things out. 5. Lack of ongoing, natural conversation about work life gets in the way of building relationships that breed the level of trust we need to have ongoing, natural conversations. It's circular. 1. Managers: Start the conversation from Day 1. Set the tone for the future early on by asking, "How are things going with project x?" What didn't we anticipate? What's going well? What isn't going well, so we can find out how to get it on track? Then make sure that both of you do what you say you'll do. 2. Employees: If there isn't a conversation, start one. Turn the questions in #1 into statements. For example, "Here's how project x is going." "Here's what we didn't anticipate." Sure, maybe your boss doesn't like bad news. Here's a secret: Surprises are worse than bad news.If you start the conversation, you have a better chance of putting your boss at ease with the whole idea of "How are we doing?" 3. Keep talking about having conversations, not feedback. Language conveys feeling. The whole notion of feedback has degenerated to the point where the word contains more negative connotations than positive. Why? Maybe because it was never meant to be associated with the human condition in the first place. From the time we're kids we have conversations. We talk about "What's going on" and "How are things going?" 4. Start having ongoing "How are we doing?" conversations. Start now. I absolutely guarantee you that two people of goodwill can increase their combined performance and reduce their stress-inducing baggage by having regular, honest talks about their progress and the factors impacting it. These kinds of talks are the foundation of every good relationship, on and off the job. Bonus Thought: The longer you wait, the larger the "negative" becomes and the more difficult it is to discuss. Regular, frequent conversations mean that the problem areas will be smaller and easier to talk about! Did you know that the majority of employees today expect their managers to coach them? At the same time, managers are concerned that they won't have all the answers. That's understandable, given the human condition's need for a sense of control and, in a manager's case, the appearance of expertise. This very issue came up while teaching one of my online classes at Rutgers University last week. If you think this is a "Western" thing, all of the participants were experienced managers in India, Bangladesh, and Malaysia. The concerns were probably being voiced at the same time by managers somewhere in Texas, Frankfurt, or Sao Paolo. The good news: Employees don't want advice. They want to be stretched and asked questions that allow them to sort things out and learn as a result. Self-Direction. The employee initiates areas for learning and relies on the manager for support when necessary. Self-Responsibility. The coaching manager encourages employees to make decisions through reflective questions. Focus on Learning. 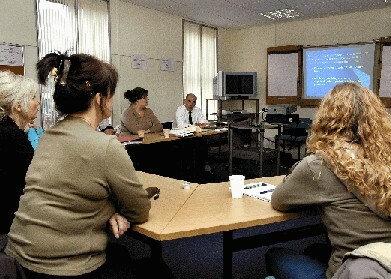 Employee develops new skills with the support of the coaching manager, then sets new goals and standards. 1. Set clear expectations for results and let your people find their own best way to get the job done. (You hired them for their unique attributes). 2. Give people as much responsibility as they can handle, then support them. People grow from being stretched. 3. Develop the habit of asking "How can we. . .?" instead of "Why did you. . ?" Think about the distinction. I'm looking at a Management-Issues Chartered Management Institute study of 1,684 managers in the U.K. that asked the question: "Do managers and employees agree on "success?" "Nearly half of the managers polled said they judged success by the extent to which they developed their teams, yet only slightly more than a third believed their organizations felt the same way. 25% thought that 'achieving a flexible lifestyle' was an indicator of professional success. Only six per cent thought that their employers shared the same view. Just 13 per cent said they were concerned with 'ensuring the organization is market leader' – yet nearly two thirds thought their employers made this a priority. A similarly small percentage – 16 per cent – of managers believed securing 'sustainability' was important, yet more than half felt their organizations perceived this as a priority. Worryingly, fewer than half of the managers polled believed they had actually achieved their true potential. More optimistically, many planned to take action to change this, with more than a third planning to undertake development or further education courses during the coming 12 months." Finally, a quote from a marketing and corporate affairs director: "Managers should voice professional needs so their definition of success is known while the organization needs to create a clear understanding of its corporate objectives to ensure employees and future employees feel an alignment to the corporate culture." 1. The statements talk about what the managers think the gap is between them and their employers. 2. It would be helpful to know how the "employers" responded to the same questions. We have no way of knowing what the actual gap is. 3. Is it unusual for any living human being to believe that he or she has achieved one's potential? The very definition of potential points toward possibilities. 4. Will managers expressing their definitions of success change the purpose and goals of an organization? 5. Will "feeling" an alignment to the corporate culture change one's personal definition of success? Here's How I See It. What Do You Think? The very best that I can glean from this is that managers don't think there is a lot of alignment with their employers on issues of personal importance. Drawing any other conclusions would really be a stretch. What can we do with this? Senior executives who see this study could use it as a starting point for a real conversation with their managers about what's important to organizational success; what's important to the managers; and how they can achieve as much of both as possible. How else would you see this being used to gain understanding and results? One of the joys experienced by a new manager is having an array of people to call on to "get it done." One of the challenges experienced by a new manager is having an array of people to call on to "get it done." I can't think of a role that's more challenging than managing, at any level. One of the traps, though, is a mistaken sense of what delegation is all about. That means you have to spend time focusing on the people who do the task, not just the task. Who needs help? How much? How much is too much? How often do you need to follow up to see how things are going? When you follow up, what do you really need to do to be helpful? (It may be to get out of the way, explain how to do something in detail, or something in between). 2. Invest in people, don't use them. We agonize over how to invest our earnings so that we reap personal financial growth. When we delegate are we asking, "How can I invest in this person in order to benefit all of us over the long run?" Or is the question "What can this person do for me?" Each question leads to a very different outcome. One is personal and organizational growth. The other is a sense of using and being used. Professional Assessments: Are You Getting What You Need? How is your organization using professional and leadership assessments? If you're the Manager, make an appointment with your boss. Tell what you think you want to do differently. Ask if the boss sees the data and your intended changes in the same way. Or differently. Here's the principle: Giving straight feedback is difficult for a lot, if not most, people. Including the boss. If you provide the data and ask for suggestions, you've done the work that your boss my find tough. It may be the most meaningful conversation you've had with that person. One of the benefits of working with lots of leaders & managers in many different organizations is the chance to see what really works, regardless of the individual personality or industry. I'll use the term "Manager" to avoid extra words and acknowledge the truth that leaders manage. When things aren't clear, the day doesn't go well. Minds and bodies gravitate toward something that does seem clear. The world abhors a vacuum. When one is created, people will fill in the blanks with their own content.That content seldom matches your fuzzy intent. 2. The Manager is the Mediator of Meaning. Clarity is the first part of the issue. The other part is taking the time to show exactly how "what" you are proposing to do is directly connected to the success of over-arching goals.Your kids will tell you to "make it real." Your employees are thinking it. 3. Managers Understand How People Learn and Work. Intellectually, we all acknowledge that people learn differently and work differently. Really successful managers take time to pinpoint what those styles are and genuinely acknowledge their inherent value. Hands-on 'Doers,' Readers, Questioners, Ponderers. . . Consistently add these five to your repertoire and you'll bump up your game exponentially. What would you add to the mix that's proven a "must do" for you? I received an email from a reader requesting "a post I recalled reading about 'paying attention to people.' " I think this was the one from December, 2009. The original experiment and its impact on management and human behavior is timeless. Kudos. Over the years, we've actually set up systems for certain clients who needed a tickler that popped up on the calendar reminding them what to do, when, and how regarding "recognition checks." That's not our core business, but it was a helpful solution for many. Would such a solution be helpful in your company? Look no further. How about a systematic approach with a tech solution for the "recognition challenged"? Check out the folks at Kudos who have created a terrific way to help manager who may not "feel" it but darn right well out to "do" it. Hat tip (well, "kudos") to Co-CEO Tom Short for cluing us in to their approach. Disclaimer: Neither All Things Workplace nor The Steve Roesler Group has a business arrangement with, nor gains revenue from, Kudos. I just returned from a good meeting. Everyone was engaged, no one dominated (unless it made sense because of specific expertise), and every speaker followed up to check for understanding. It was more like sitting around a warm fireplace in winter than a typical business meeting. So, it made me think about the planning that went into it and how it was led. If you've struggled through more than a few bad meetings, I'm guessing you've experienced the following traps. Here they are and how to fix them. Many people tell me that they know how to run an effective meeting. Actually, all they do is host a party. They invite guests, provide treats, and preside over a conversation. People talk. People eat. And nothing happens. Or, if they somehow manage to reach an agreement, there's no concrete follow-up to implement it. What to do: Learn how to design and lead successful meetings. Attend a workshop, buy a book, or hire a facilitator who also teaches you what and why (s)he is doing so you can do it yourself the next time. If you are a leader at any level, being a meeting pro is linked closely to your long-term success. Recognize that there are systematic ways that can help people make practical, methodical progress toward results. Of course, you have to know what they are in order to use them. If you want professional help, contact me (609.654.7376) and we can look at the most sensible way for you to learn how to become a meeting pro. (Inhaling deeply for extra breath): Too many meeting leaders labor under the delusion that long-winded announcements and dissertations impress others. The opposite is true. A long lecture quickly becomes a boring (and sometimes offensive) harangue. Why? Most employees want an active role in contributing to the business; listening to a lecturette feels like a waste of time. What to do: Design meetings that give attendees opportunities to contribute. mails and casual converstations. If you must use a meeting, keep announcements brief and crisp (less than a few minutes). ends, the employees will do one of three things: 1) forget the lecture, 2) ignore the message, 3) sabotage the idea. What to do: Conduct meetings using an agreed process that everyone considers to be fair and effective. The single best element to remember: people will accept decisions that they helped make. How many times have you received a meeting invitation without an agenda? At the same time, you were expected to arrive with a vision for what needs to be done. Whenever we go to a meeting, we do bring our private hopes, fears, and solutions to the situation supposedly being addressed. But without a clear agenda and a solid process to work the agenda, the result is something between chitchat and chaos, depending upon the complexity of the issue. Note: A vague agenda, such as a list of topics, is about as useful as no agenda. step and provide blocks of time scheduled time. Send the agenda at least a few days before the meeting so that the attendees can use it to prepare. Call key participants before the meeting to see if they have questions or want to talk about the agenda. Have an emergency, surprise, or a twitch? Call a meeting. obtain results that require the efforts of the right group of people working together in the right way on the right issue. Meetings are not universal cures for whatever ails the work group. Held for the wrong reasons, meetings waste everyone's time and can undermine the leader's actual intentions. meeting. Is there another activity that could accomplish the same result? Number 5 is the one that really gets to me; I often come down fairly hard on clients and associates whose first step in addressing an issue is to call a meeting. Given my business and the importance of using time wisely, unnecessary meetings are unnecessarily costly. I hate when that happens. Meetings are one thing we all have in common. Weigh in with your own experiences, traps, and techniques--you'll provide help to a lot of people who are looking for it. Decisions get made. It's time to start. The goal is clear. There is a picture of what the result should look like. Now we just have to "do it." Given that there are entire industries built around "doing it"--continuous improvement, change management, life coaching-- there must be some trick to that whole in between area. If you are involved in any kind of a change, here are 5 tips that you can take to the bank. (Ignoring them may put you in the collection agency). "We're going to make a transition from___to____" impacts the brain a lot better than "We're going to change." (Honestly, I don't want to change--do you? But I don't have any problem making a transition). Be willing to talk and be willing to listen. 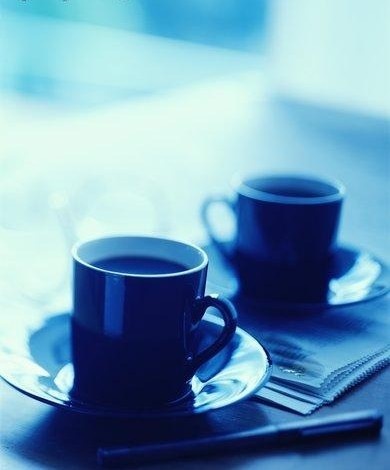 When things change at home or in your family, you have coffee and conversation with friends. Why? It's cathartic. And you don't feel alone. Changes at work are no different. Transitions and change imply, by definition, that people are trying something for the first time. When your little child tried out her first steps and fell after the third one, you didn't offer a performance appraisal. You hugged her, made a big fuss, took a video, and called the grandparents. Offer the same to adults who are trying something for the first time. Truth be told, they are feeling like kids at that moment. Note: I'd avoid the hug and the video; it's your call on whether to phone the grandparents. This isn't opposed to numbers 2 or 3. Accountability is an act of deep friendship. Friends don't let friends drive drunk. They also don't let friends do things--or avoid doing things--that are hurting their careers. Make an example of anyone or any result that approximates the longer term ideal. Do it often. If you wait until everyone gets it perfect, there won't be a celebration. There may not be a reason for it. That's why continuous improvement is called continuous improvement. During the Christmas/New Year respite, I scrolled through the list of leadership and workplace blogs that I've subscribed to over the years. Some I read religiously, others I spot-check for information. Here are seven that I recommend for those who want a glimpse into the insights of writers who possess depth and breadth of experience and are engaging in their writing and subject matter. The numbers aren't rankings, simply an orderly way to present the information. These seven writers will add, exponentially, to your leadership and workplace savvy. 1. Michael Hyatt, Intentional Leadership. The Chairman of Thomas Nelson Publishers shares personal leadership insights, productivity tips, and and offers glimpses of his life, personal and professional. The model of transparency, authenticity, and a leaders of substance. 2. Steve Farber consistently reflects his commitment to his theme for Extreme Leadership. His message is simple, yet profound: "Truly great leaders in life become so because they cause others to become greater than themselves." 3. Managing Leadership is the engaging online presence of Jim Stroup whose military and academic credentials go a long way in explaining the depth of his thinking and writing. Jim is a must-read for those who want to delve into the facts and fantasies of modern management development. 4. Wally Bock is the force behind Three Star Leadership. Each week, Wally makes sure you are in touch with new and useful resources; helps readers look at what really works (and doesn't) when it comes to developing supervisors; and provides a free weekly newsletter (you just need to sign up) that will give you fascinating and surprising glimpses into the lives of people who have made a difference in our lives. 5. Dan McCarthy combines years of experience as a learning executive with Paychex with his current role as Director of Development Programs at the Whittemore School of Business and Economics at the University of New Hampshire. Great Leadership By Dan is a place where you can explore working models for talent and leadership development and interact with Dan (he's all about learning and his responses to comments are frequently mini-lessons unto themselves. 6. Mike Myatt focuses on his work with CEOs and, as a result, allows a glimpse into the daily challenges of the C-world. Mike is also enjoys engaging with his readers and trying out different ways to connect and keep others connected. 7. The term Remarkable Leadership points to just one person: Kevin Eikenberry. Leadership Coach and Author, online teacher, and social media maven, Kevin is the kind of of guy you want to meet after reading a few of his articles and listening to what he's up to on any given week. The place to do it all? Leadership & Learning. You can't get off to a better "leadership learning" start in 2012 than with this gang. Enjoy! Every so often I check the keyword searches that land people here at All Things Workplace. A lot of them have to do with "find my strengths" or "how do I manage talented people?" People at work appear deeply invested in clarifying their own strengths and understanding the inherent talent in others. If that's so, I was wondering why there is so much angst about "growing talent." It seems that people are already interested and committed for the long term if their strengths and talents are being valued. "Your Lips Say 'Yes-Yes' But There's 'No-No' In Your Eyes"
There is at least one reason why some people--including managers--shop their resumes even in bad times.In part, it has to do with verbally advocating development and then doing the opposite. Jason (not his real name) is an operations manager in one of my client companies. He's quite experienced and has been in the manufacturing industry for 20+ years. He is also the most well-read client ever. Whenever I see him, he waxes poetically about the wonderful "new" managerial ideas he's picked up from the most recent leadership books he's read. And he's read all of them. One of those ideas had to do with recognizing someone's small successes and following through with verbal encouragement or even a small reward (lunch, movie tickets, a $25 gift certificate. . .) Or better yet, acknowledge the person's accomplishment during a regular departmental meeting. He even made it a point to talk about the importance of those ideas during a meeting with his supervisors. He wouldn't do any of those. So, I asked him why not. His reply: "I'm not going to spend time rewarding or telling someone how good they are if the company is already paying them a salary. They are supposed to do good work." What's baffling is this: He doesn't have the same approach with his kids. I've seen him at home, in action. He acknowledges them when they've succeeded at something. Anything. And he does it spontaneously. Every day we're all trying to learn or do something new. Let's be honest: part of our day is spent being a kid again when it comes to struggling with a new problem that needs a solution. And we could use a few encouraging words of recognition when we demonstrate a talent that helps the organization. What would a well-known, successful business person say about the importance of encouragement? The human mind abhors a vacuum. In the absence of accurate information we'll create our own story to fill the space. Unfortunately, we humans usually create a more negative reality than actually exists. Therefore, the absence of acknowledgment and encouragement can very easily turn into the perception of a "critique." (If my boss isn't telling me I'm doing well then I must be doing poorly). Find someone who is doing something well today and tell them so. You'll be growing talent. 1. Let's face it: few of us enjoy hearing about those areas of worklife where we're coming up short. It's human nature. The flip side is that managers are people, too, and they have the same thoughts and feelings. So it's not exactly a peak experience being the proverbial "messenger" even though it comes with the job. 3. Feedback has been institutionalized to the point where it is often done at yearly or semi-annual performance reviews. That's usually too far away from the actual performance for a person to make the kind of changes that will alter an outcome. So it's almost like a "Gotcha!" Set the tone for the future early on by asking, "How are things going with project x?" What didn't we anticipate? What's going well? What isn't going well, so we can find out how to get it on track? Then make sure that both of you do what you say you'll do. 2. Employees: If there isn't a conversation, start one. Turn the questions in #1 into statements. For example, "Here's how project x is going." "Here's what we didn't anticipate." Sure, maybe your boss doesn't like bad news. Here's a secret: Surprises are worse than bad news. If you start the conversation, you have a better chance of putting your boss at ease with the whole idea of "How are we doing?" Language conveys feeling. The whole notion of feedback has degenerated to the point where the word contains more negative connotations than positive. Why? Maybe because it was never meant to be associated with the human condition in the first place. From the time we're kids we have conversations. We talk about "What's going on" and "How are things going?" Start having ongoing "How are we doing?" conversations. Start now. Bonus Thought: The longer you wait, the larger the "negative" becomes and the more difficult it is to discuss. Regular, frequent conversations mean that the problem areas will be smaller and easier to talk about. "What Advice Would You Give To Young Managers?" has generated a lot of discussion on the American Management Association LinkedIn group for the past three months. If you are a LinkedIn member, have a look at the suggestions offered. My humble take on the topic: Learn to delegate (which also implies coaching those on the receiving end). This has always been the biggest struggle for me, so that's probably why I selected it. There's no mystery regarding the "Why?". It's all about maintaining a sense of control. The fallacy here is obvious to anyone who has ever held a job: Tight control and no delegation leads to stunted growth--for everyone, including the manager. The result is often high turnover, with the manager ultimately returning to the ranks of "individual contributor." 1. Am I letting fear stop me from delegating responsibility? 2. Which team members are ready to step up to the next level? 3. Does each person have a project they can learn from? 4. What can I hand over, right now, to a capable team member? 5. Am I genuinely supporting the individual career ambitions of each person? You've probably developed some good questions of your own. Take a moment to share them in the comment section--you never know what will spark a big change in another manager's thinking. Whenever you try something new it's worthwhile to consider what you've been doing and how that might get in the way. This really holds true for managers who have been used to giving answers and now want to do more coaching. Or, maybe you've been promoted and inherited a group from the kind of manager that has made the members consistently look to you to solve their problems. Lack of Initiative: Your people rely on you to get things rolling rather than risk making a mistake or failing. Lack of Confidence: You notice that people tend to ask you to do things for them instead of making decisions and taking action. Lack of Thoughtfulness: When there is an issue or a problem, people come to you for an answer vs. working through things and offering a possible solution. Lack of "Future Thinking": Both problems andopportunities slip through the cracks as a result of an inability to see the big picture or how things will play out, given certain circumstances. 1. Start by getting really clear with your team about who you are, how you want to operate, and what your expectations are. 2. Agree on the kinds of issues you're prepared to discuss and how you like them to be presented. 3. Over time, ask the group members to sketch out their own solutions and discuss them. During your time together, ask what other thoughts they have about the situation at hand. Start seeing yourself as a manager who coaches. The results will be freeing for all of you. Bonus: I believe you'll also want to read "Managers: Even When You Delegate, You're Still In it Together"
I just met with a corporate Executive VP in Philadelphia. I'll call him Les. Les said his division was struggling. But instead of leading the charge to turn things around, he was constantly being called into meetings to deliver lengthy, detailed, Powerpoint presentations explaining what was wrong. He was too busy doing business to be doing the business. Interestingly, one of his recommendations was for the company to get out of some of its operations because they were draining money and other resources. He explained that his people were spending too much time on things that no longer yielded the kind of margins the company desired. Does any of this sound remotely familiar to you? I realized while he was talking to me that I had gotten up at 5 a.m. to deal with emails from a European client; spent time on the cell phone in transit with a non-profit, pro bono client who needed to talk; and allowed myself to be sidetracked by hallway conversations with managers from the client group who I hadn't seen in a while. A similar schedule unraveled today. The Fallacy of "More Is More"
In a well-known graph about productivity and multi-tasking (from a 1990′s Harvard Study by Steven C.Wheelwright and Kim B.Clark), two researchers showed the benefits of multitasking – but only in situations where the subject worked on two things at once. Any more than two, and productivity declined. A lot. This graph shows the results of productivity as related to number of tasks. The Lesson: People who multitask actually do far worse on performance than people who eliminate distractions and focus their attention on one or two things. 1. If you do business globally in the electronic age, the expectation is that you are available on "their" time...or you should be. So choose carefully--you can't afford to be awake 24 hours a day. 3. It's important to say "no." In fact, I think "no" is the solution to a lot of this craziness. It's almost impossible to say "no" with confidence unless you are clear about what's really important. 4. If you are in Les's position, at some point you need to tell those above you that the very act of "over-reporting" is exacerbating the problem. Do it respectfully. Share the impact and consequences on your business and let them take responsibility for whether or not it makes sense to continue the external demands on your time. What priorities will you clarify today so that you do the right business? Management Direction: Does 'Don't' Mean 'Do'? "People learn what you teach them; not what you intend to teach them." I just came back from an office building where a sign on a doorway clearly stated, "This is not an entrance." Hmm. Did that mean that I was to use the door next to it or go outside and enter through some other place? Here's another: "Don't prepare lengthy, time-consuming RFPs unless it is obvious that they (the all-omniscient 'they') really want one." OK. Should I prepare a lengthy RFP if I have a template that allows me to generate one quickly? We're all looking for clear direction in order to do a solid job. "Dont's" do not always define the "Dos." The human mind cannot process a negative and automatically turn it into a positive action intended by another. Period. Even if you are crystal clear about what you don't want, the people around you simply don't know what to do. This week: Where will you take time to be crystal clear about what you do want? You'll be surprised at the increase in goal-directed activity. If you are a manager, a coach, or a manager who (hopefully) coaches, the biggest help you can provide is offering support without undermining your employee or client's sense of self -responsibility. It's easy to see "support" as jumping in and bailing out someone who is struggling with a situation. Instead, create an up-front agreement telling when you'll be available as a sounding board to sort out ideas or explore solutions to problems. That way, you serve as an energizer: enabling learning versus directing it. There will be times when your seniority or position power will be needed to influence others in the organization. When that happens, provide your support. In organizational life, managers can often be most helpful by removing barriers for their people. 1. Ask your employee to pinpoint issues and tasks where support is needed. 2. Let her know when when you're available to provide the needed support. I just came across the next one as a result of a team diagnostic. The team leader thought there was some conflict within the team. He was right. 3. Make sure others on the team are working toward the same goal. Really. My leader client had, unwittingly and without malice, laid out a plan of action that forced a few team members to focus on cost-cutting while others were focused on growth (it was a sales team). He resolved it quickly by pulling everyone together and re-visiting the larger goal (profitability) while facilitating a discussion with the account reps to identify how they could best support each other while hitting the individual and group targets. He offered about 30% of the solutions based on deep experience; the team members worked out the other 70% themselves. What to take away: The combination of support and self-responsibility is the key to growing people. Make sure both are abundant. Managers are told to think globally but act locally, compete yet collaborate, change continuously but maintain continuity. No wonder many are confused. These kinds of messages don't make an already-tough job any easier. Managers actually require five distinct mindsets. I came across this sensible, easy -to-understand analyisin an article titled (surprise) The Five Minds of a Manager, by Jonathan Gosling and my favorite well-grounded contrarian, Henry Mintzberg. Although there are five distinct categories, the idea for managers is to learn how to exercise each and synthesize all five to create a genuinely effective approach to management. What do you already do? Which do you need to intentionally develop? Stepping back and reflecting on experiences allow mistakes to be identified. Reflection may also lead to seeing things in a new ways, e.g., a product as a service or customers as partners (or vice versa). Go beyond crunching the numbers. When a decision must be made, analyze the analysis of others to determine the biases they may have had and the data and assumptions used. People tend to think of the world as an increasingly homogenous place but it is really a collection of worlds within worlds, with definite boundaries and edges. Just because a company sells products globally it may not take into account how those products are perceived and used in different cultures. Managers with a worldly mindset spend time in places where products are made, customers served, and environment threatened. Managing collaboratively means managing not people but relationships. Good managers listen more than they talk and ask questions more than give orders. They also distribute management functions so that responsibility goes to whoever shows initiative. We are told that we must change or else. But while this is an age of change, not everything is changing (which we tend not to notice). Managers with action mindsets focus organizational energy on changing what needs to be changed while carefully maintaining what doesn't. 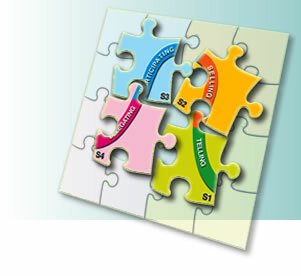 Successful managers integrate the five mindsets into a single whole. They reflect, act, and reflect some more; realize where and when collaboration is necessary and enter the world of others to analyze more data and viewpoints; then, they act in an endless cycle. If you are a manager, think on these things for a while. Then, share them with your team and ask how they see your approach (or not) in each of the mindsets. It's a good conversation starter, non-threatening, and a terrific way to find out how you are doing in each area. 2. Invest in people, not use them. When we delegate are we asking, "How can I invest in this person during this task in order to benefit all of us over the long run?" Each question leads to very different outcomes. One is personal and organizational growth. The other is a sense of using and being used. 3. Be alongside, in front of, or close behind--but never absent. No one--no one--is successful alone. However, it's really easy and unbelievably common to fail by thinking we can do it alone. So the best managers I know live out a model that clearly shares responsibility. They provide direction and support; their people ask questions easily as a result of the "we're in this together" atmosphere. What's up in your management/delegating life? We teach leaders how to design and execute change, how to let go of things, and how to delegate. We don't often teach the other people how to "hang on" through all of this. What gives a manager the biggest payoff during these times? How To Know When You've "Got It"
Diagnose and determine what you need from the "higher ups" in order to lead and execute at your level. Then, when you can give your people a clear picture of what a good job looks like in the "new situation," you've captured the vision and turned it into something do-able and manageable. After that: give your people what they can't provide for themselves. Get them resources, knock down organizational roadblocks, manage to agreed-uopon performance goals, and find ways to reward and celebrate. This kind of self leadership breeds new self-leadership in everyone involved. And you'll be known as the leader who develops leaders. Bonus 1: Just in case your thinking is biased for/against these suggestions, I totally understand. So does Vince Veneziani of Business Insider who shares this presentation on Human Cognitive Biases. Bonus 2: Since leadership requires "Awesome Acts of Attention, " see what Tom Peters is thinking about it. And thank you to Career Overview for naming All Things Workplace to the Best Blogs For HR Wisdom. Productivity, Management, and "Getting It"
According to a study of nearly 1,300 mid-level managers around the world by consultancy Proudfoot, vast amounts of the average manager's working day are spent on unproductive activities. The Global Productivity Report found managers spent 34 per cent of their time on administrative tasks and just a tenth of their time on training and active supervision of their workers. Their workers, too, were not exactly buzzingly productive. More than a third of their time – 34.3 per cent – was spent on unproductive activities, up from just over 32 per cent recorded the year before. This meant workers were spending 1.7 days a week on unproductive workplace activities, it concluded. Managers spent in total 18.5 per cent of their time on unproductive activities, or the equivalent of just under a full working day per week, it added. Yet, for every five point increase in the share of time managers spent on active supervision, the productivity of their workers, or at least the amount of time they spent on unproductive activities, improved by one point, the survey also found. The managers were also asked to list their top six barriers to improving productivity. Topping the list was a shortage of skilled workers, followed by a lack of good internal communication, red tape, rules and regulations, poor employee morale, high staff turnover and, lastly, the quality of their own supervisors. Chickens, Eggs, and People Who "Get It"
Let's assume that the survey results are valid and that the 1300 managers represented a scientific random sampling with an acceptable +/-% margin of error. 1. The quality of their own supervisors. Productive workplaces are all about effective bosses. If this a universal problem then there is a systemic management issue at work globally. 2. Assuming the data are true, managers often aren't required to manage and develop people. They are administering the businesses instead. 3. An emphasis on paperwork would be consistent with red tape and rules and regulations. 4. I never know what good internal communications really means. I've written about it before. "Communications" is a catch-all phrase and one needs to ask probing questions to find out what is really underneath. 5. Well, if there is too much paperwork and not enough management it's not a stretch to see that employee morale would be down, prompting thoughts of leaving the company. 6. I intentionally saved 'skilled workers' for last. The skilled workers thing pops up constantly (think, "war for talent"). There are gazillions of talented people graduating from universities each year along with gabillions of experienced workers looking to make a move (see the research above). a. What skills are absent to the extent that there is a seemingly universal crisis? b. If these skills are in fact absent, what are companies and educational institutions doing--individually and in concert--to impact the situation. All of the above are so behaviorally interrelated that one has to ask the, "What came first, chicken or egg?" question. BTW: The answer is good management. In organizations, everything flows from that. If managers can't or won't manage, then one would expect to see this kind of survey result. Finally, an observation based on daily experience in organizations. I'm not seeing a shortage of skills. I'm seeing a shortage of people who "get it." People who come into work, scan the horizon, and say, "What's happening and how can I be most helpful?" People who look at the bigger picture and the connectedness of themselves to the whole. People who ignore the fine print in their job descriptions and look at "all other duties as may be assigned" as the operative part. What's going on in your working world? Be careful when you give advice--somebody might take it." Anonymous. Most of us enjoy giving advice. If you're a manager, it may even make you feel a lot more managerial. And let's be honest, advice is a lot more fun than criticism. What Kind of Advice Is Desired? Counselors know that when someone arrives for a first visit, the story that unfolds is usually the "presenting" problem. It's not necessarily a matter of deception. We may not feel comfortable "putting it all out there" quite yet. Or, we may not even be clear about what the real issue is, which is why we want to talk it through in the first place. To hear critical information and facts? To know your opinion on an issue? To get help with generating alternatives to a situation? To know how you went about doing something? To check out his or her reasoning on a decision? It's easy to fall into the instant response trap; we all want to be helpful. Sometimes that kind of help isn't helpful at all. Ask specifically what the other person wants. It will save you both a lot of time and lead to more satisfying results. Note: I've been traveling, speaking, and delivering leadership workshops since Talent: Strengths or Weaknesses?Yes. and Are We Educating For The Right Jobs? I want to take some time this evening to read through the comments again and jump back into the conversation. Thanks to everyone for keeping it rolling. If you haven't yet joined in, have a look; some good thinking going on there. Most of us have been exposed to Maslow's Hierarchy of Needs. In fact, I've read that it is the most-used model in management training. I think it's also one of the most mis-represented and misunderstood. I've never seen much argument about the content of the list. But the hierarchical implication has been rendered invalid by later research. Yet managers are still told that this is a "ladder that people climb" and that employees must have one set of needs satisfied before they move onto the next. That means there are still vast numbers of well-meaning managers thinking, "Oh, I really can't start working on high performance until we have all of our "group issues" sorted out. The fact of the matter is that we're constantly chasing satisfaction in all of these areas simultaneously to some degree. For example: You may be working on becoming an accepted member of a team. But that doesn't stop you from spending a little time adjusting your 401k mix and volunteering with Habitat for Humanity. The only need that I've seen block the rest of the hierarchy is a seriously unmet Physiological need. If you're worried about your next meal, losing your home to foreclosure, or paying out-of-pocket for a major surgical procedure, the pressure at that level doesn't allow much freedom to focus on anything else. How can organizations use this for meaningful impact? 1. Physiological and Stability/Safety needs are met through corporate policies: adequate pay, benefits, and safety procedures. These are satisfied when organizations who claim "People Are Our Most Important Asset" back up the statement by ensuring that these needs are met as a matter of policy and philosophy. 2. The higher level needs can only be satisfied by assignments, development, and solid day-to-day management. This means that "Managers are the Mediators of Meaning" for their people. Surveys and research data consistently show that the immediate supervisor has the most impact on one's performance, productivity, and feelings about the workplace. Every supervisor reading this can use the pyramid above as one more tool to start a discussion with employees about where they are and what they need to keep their batteries charged. But there has to be an ongoing conversation for something meaningful to happen. If you take time to ask people what they're looking for, they will tell you. And that makes your job a whole lot easier. In order to induce terror, you never have to actually commit the act. It is the unresolved possibility of terror that keeps one--or the world--in a state of fear and stress. Have you been putting off asking for or giving feedback at work? If you're a manager, you have thoughts about people's performance that you are carrying around. And they are building up. Your employees don't know how they're doing. And the first thing we humans do in the absence of truthful information is fantasize about it--negatively. Do something now. Feel the relief that follows. What is reappearing on your to-do list that's giving you second thoughts about yourself? Who has been waiting for a decision from you? You and I have more control over our stress than we sometimes care to acknowledge. Why terrorize yourself when you can get relief by taking even one definitive action toward a tick mark on your checklist? Each step you take brings an additional sense of relief. Online friend Mark Harbeke of Winning Workplaces added this resource from J. Alex Sherrer of Project Management Road Trip®. It's a terrific paper on Combating Workplace Negativity. Let's face it: negativity breeds stress and knowing how to counteract negativity offers value to all of us. Thanks, Mark and Alex. What Gets In The Way of Giving Feedback? You and I would run from any physician who prescribed a cure without first doing a thorough examination. Yet we get caught up in the "do, action, execution" themes that permeate our businesses. I'm all for getting things done. It would be a good idea if they were the right things. In business, "prognosis" is the mandatory forecasting that is required to project future needs, revenues, and stock analyst phone conversations. My experience has been that many companies do the best they can. At the same time, people in those organizations want to please their bosses and, as a result, deliver a "healthy" prognosis. What the company needs is an accurate diagnosis in order to behave in the right way. Schmoozing the numbers leads to inaccurate expectations, wrong use of capital and people, and diminished trust in the marketplace and on Wall Street (if you are publicly traded). Prognosis: We can beat our competitors in the European market if we build a state-of-the-art processing facility. Result: Facility shut down after five years of financial losses and little wear and tear on the machinery. What was the diagnosis to begin with? There wasn't. Instead, there was a passionate presentation stating that, "If we build it, our competitors' customers will come." They never did. The competitors had the market locked up and anyone at the local coffee shop could have told that to diagnosticians from the incoming company as well as the reasons why. 3. What facts can you show to support it? OK, now show me the data. 4. What are the other options? 5. Would you bet your career on the likelihood of success? (Stated seriously, that can prompt some unbelievably telling non-verbals). What to think about today: If you are a manager or leader of any group, take time to sharpen and use your diagnostic skills. The prognosis for your organization's health will depend on them. Looking forward to speaking to the Delaware Valley HDI association today on How To Be The Manager Your People Want To Work For. Hopefully my high school English teacher won't notice the preposition at the end of the title. That title looks odd but truth is often stranger than fiction, especially when it comes to the human condition. You and I think about 360 feedback as a way to find out how we're performing against a set of agreed upon expectations. But what if no expectations have been agreed? Forget the textbook examples of starting with clear and specific expectations. Not everyone does. Heck, if you're married, you started with the expectation that you were "in love" and that that fact alone would carry you through an entire lifetime. (If you've been married long enough, tell me about your conversations after about two years into the gig. You can take a moment to roll the toothpaste in the right direction first). You're in charge of the unit's survival. Make us profitable and do it fast. So, the new dude or dudette comes on board, gets a bit of the lay of the land, and starts taking action. At some point, people--including the new manager--notice that there are some disgruntled campers and that the group and manager aren't really in sync. One way to find out what people need more or less of is to do a 360--online or even pencil and paper--to find out what's going on with the group members. By selecting the right dimensions and related questions, unspoken expectations will be revealed by the comments and numerical gaps. This provides a concrete data base to initiate a meaningful group discussion to create a genuine and solid set of expectations. Is it the ideal? Not according to conventional wisdom. After all, "good" managers take time to do all the "right things" first. But how conventional is the current business climate? What's important is to get on track. Newly hired managers are often being turbo-charged without receiving much of a clear charge. There's nothing wrong with "retro-fitting" expectations under those circumstances. My hunch? Many of you are already experiencing this. Deepest thanks to all who have commented, emailed, tweeted, and offered prayers regarding my Dad's recent diagnosis. While it has been hectic marshalling medical resources during the holiday season, I'm thankful to say that he is doing well and is free of malignancy and has a good prognosis. Again, our family thanks you all. Also: In about a half hour--4pm Eastern, 3 PM Central Time, I'll be joining David Porter on his Bull's Eye Leadership program. We'll be discussing my favorite topic: Practical Ways to Become Extraordinary. If you can, join us. "One of the best ways to persuade others is by listening to them." Just Pay Attention To Me sparked a stream of comments. Most focused on how simple it is to talk with other people yet how difficult it continues to seem for many managers. Check out the thoughts and add your own to the mix. Managerial attentiveness is certainly high on the list of employee wants/needs. But how about when it's time to gain support for your idea or program? Managers at all levels will give you their attention if you understand how to legitimately capture it. Here are four ways to diagnose listener preferences and deliver your message. (It's often helpful to be able to sort and classify). These folks pay attention to what others are doing. Perhaps they need to feel like they "belong"; maybe it's just a matter of not thinking too much. Who knows? It doesn't make any difference. You need to provide social proof--testimonials--of what other people think about your ideas. "The benchmarking companies have implemented . . ."
"The top experts in (name the appropriate field) have just written that. . ."
"Statistical trends now show that. . ."
Even though we know for a fact that people decide based on emotion, these people need to hear supporting evidence. And you'll be questioned on it, so be prepared. They won't go to a fast food outlet without seeing which one has the "best" value meal: $1.00, $.99, or $1.03. Why? One reason is that they want to be confident that they can give a "logical" answer should someone ask them. So, give them the confidence with facts and figures. Quantify everything. Watch them leap into action when you present your ideas as barriers to be overpowered. Here's the group that examines the benefits of your idea, both organizational and personal. They want to improve their situation every day. Show them "how to". These are the Four Biggies that I see regularly. If you have experiences that show another category with descriptions, weigh in with a comment! Recommendation: Ryan Williams writes Listen To Lead and offered the a helpful resource in the comments on Just Pay Attention To Me. Thanks, Ryan. He doesn't post very regularly but has substance when he does. And, you can follow him on Twitter: @willy26. Employees at all levels are giving high priority to the issue of respect in the workplace. As a result, "emotional intelligence" and empathy at work have catapulted to importance in the management/leadership realm. And, for good reason: mis-reading or totally missing someone else's "stuff" can create sticky situations and bad blood. On the other hand, the ability to pick up on cues and accurately follow through is a hallmark of relation-building and something that we all value from managers and co-workers. For sales people, it can mean the difference between no client or a huge bonus. Look, I know that empathy is one of those "soft skill" things. Fine. But absent any degree of it, you'll spend your life being an individual contributor with yourself as the only customer. That's just not a good income-generating plan. Empathy is the ability to read or sense someone else's responses by imagining yourself in his or her place. Some folks are born with a predisposition toward, and a sensitivity to, the feelings of other people. They often develop their intuition in this area as they mature. Even so, they also learn to ask questions along the way to clarify issues and confirm (or disaffirm) their intuition. Note: Part of being empathetic is not telling someone else exactly how they are feeling without checking it out first. Use your imagination and similar past situations to give you clues about what the other person is feeling and experiencing. Imagine that you are the other person. What might your needs be? When people talk with you about what's on their minds it's common to hear them talk around the topic instead of getting to the heart of the matter. (Often, they don't know the heart of the matter; they just know how they are feeling). "Can you explain three things that really concern you about this issue?" "If you had the choice, what would you most like to have happen now? "What do you think is the single thing that would help you most?" "What are some other aspects of this that are also worrying you?" Once you've picked up some solid information, summarize what you think you've understood. Then, pause and ask: "What do you think would be most useful to do next?" Most people actually do think of a next step. Remember this: Employees and colleagues aren't looking for you to know answers. They're looking for someone to ask good questions and listen in ways that help clarify the situation and alternatives. That's the kind of respect that leads to solid relationships and professional growth. 2. The Manager is the Mediator of Meaning. Clarity is the first part of the issue. The other part is taking the time to show exactly how "what" you are proposing to do is directly connected to the success of over-arching goals. Your kids will tell you to "make it real." Your employees are thinking it. People Looking For Jobs Want. . .
Do You Know How Your Group Works? You and I pretty much spend our entire lives in groups. We start off in a family, play with groups of young friends, attend classes school, and work in groups and teams. So it would make sense to learn as much as possible about the dynamics associated with groups. Some years ago, organizations spent a fair amount of time educating people on the fine points of group dynamics. The research was new and fascinating. New is good. Now that that body of work has been around for a while, it's no longer "what's happening." The human condition--and certainly the organizational mind--is always looking for what's new. The world of advertising slaps the word "new" on packaging and products for a very good reason: new is still good. Old isn't bad--it just gets ignored. There's no ignoring the importance of understanding groups. So here are some things to ponder when you are leading, or part of, a group or team. 1. Whenever one person leaves or one person enters a group, the dynamics change. Why? We learn how to function in our groups based on the roles people play, how they play them, and the balance of power and influence that results. 3. If you skip this step, it will only be a matter of time before you notice that something is not quite right with the group. That's the indicator to stop, get together, and clarify #1 as well as spend time doing #2). 4. When a reasonable amount of comfort and trust is established, you enable the group to be able to make decisions together. The question then is: how will we make decisions? Which ones are left to the group, which are the purview of the leader, and why? 5. Now you are in a place to implement and actually get the work of the group done. That means you need to agree on "how" things will happen. Note: "How" is important because implementation is the element of group work that allows individuals to use their talents and uniqueness. People lose interest and morale can plummet when they don't feel as if they are uniquely part of the "how." 6. If you've attended to all of the steps so far, then high performance should be the result. That might mean a great performing team at work, a terrific volunteer organization, or a healthy, well-functioning family. Food for thought: If you find your group struggling, go back one step and see if you paid appropriate attention to the relevant issue. Keep going back until you take care of the business at that step and then start moving forward again. Groups are such a huge part of our lives, it's worthwhile to develop the related knowledge and skills to navigate them successfully. What have you learned about groups that would be helpful to readers? Weigh in! Are You Grateful Enough To Be Happy? What do you do when surprised with a gift? And what if it's at work? Yesterday I was getting a tour of a corporate university when my hostess, the VP of Learning, was approached by a group of 5 employees. The next thing I knew, one of the guys was reading a short, heartfelt note of thanks from the group for her learning leadership, followed by the presentation of a small gift. I moved back a few steps so they could savor the moment together. It was clearly a total surprise to the VP. What surprised me was how quickly and deeply she expressed her gratitude, and how articulate she was. It was also more than I think I could offer, given the same set of circumstances. After the group left she continued to beam and openly, but humbly, verbalize her feelings. Gratitude--the emotion of joy and thankfulness when responding to receiving a gift--turns out to be one of the foundational ingredients for a good life. This comes from Todd Kashdan, associate professor of psychology at George Mason University. In a recent issue of Journal of Personality, Kashdan noted the research revealed gender plays a role. Apparently, men are much less likely to feel and express (my italics) gratitude than women. No doubt women everywhere are now going, "We already did that research." In one study, Kashdan interviewed both college-aged students and older adults. He asked them to describe, then evaluate, a recent instance in which they received a gift. Compared with men, women reported feeling less of an obligation and higher levels of gratitude when presented with a gift. Additionally, older men reported greater negative emotions when the gift-giver was another man. He also says that if he had to cite three factors that are essential for creating happiness and meaning in life they would be meaningful relationships, gratitude, and living in the present moment with an attitude of openness and curiosity. Surveys consistently show that employees often say they don't receive any kind of recognition for a job well done. In many instances, survey data show that some bosses take the posture: "Why would I "recognize" you? That's why you get a paycheck." Maybe there's more to this than just a lack of gratitude. If we follow the research, we're looking at a large portion of the population that may not even feel it to begin with. If this is true, then "a job well-done" is one more thing on the intellectual "checklist-of-life" and not something that will prompt recognition, even though that's all people may really need to get buzzed about their jobs. So guys, the next time your wife or girl friend tells you what an ungrateful slug you are, at least you can respond with: "Yes, I understand the research indicates you are correct." How Do You Measure Workplace Happiness? And, if you'd like to learn more about the research above, Professor Kashdan has written a book titled “Curious?,” which outlines ways people can enhance and maintain the various aspects of well-being. One More Time: What Do People Want At Work? Getting the very best (or most) from employees has become the holy grail of business. Millions of dollars are spent to determine how to achieve a state where workers function at high levels of productivity and, supposedly, satisfaction. Every employee survey I've seen over the past 30 years shows the same results as this, conducted in 2007 by Towers Perrin. The survey population was 90,000 employees, worldwide. The #1 element on a global level was an employee's belief that senior management was interested in his or her well-being. Employee's relate their success on the job to feeling cared for and about. Not money, not flex time, but feeling that people above them care about their well-being. For years, employers have focused on perks and incentives: pay raises, performance bonuses, extra vacation time; less-inspired employers have their own method of inspiration in the form of threats of "downsizing". Or, if they are really euphemistically astute, "Right"-sizing. This means that the "right" size is minus you. These aren't necessarily bad ideas--with the exception of threats--but they're all short-term and inevitably lead to an eventual drop off in performance again. How "motivating" is a bonus check or vacation that’s ten months away? Three decades of research tells us that hanging the carrot out there doesn't create sustained productivity, commitment, and satisfaction. Despite all the effort to bring quantifiable science into the realm of employee effectiveness, we discover what we've known for thousands of years: people respond to be treated like humans--not like numbers. 1. Employees want to have a "good fit" in the organization, one that matches their skills and interests at a given time. 2. Employees want to be clear about their job: what is really expected and how it will be measured. 3. Employees want managers and organizations who support what they're doing and get roadblocks out of the way. 4. Employees want to feel valued for who they are and what they bring that is unique. 5. Employees want to be part of something that inspires them. There are lots of ways to earn money. But over the long-term, they (we) want to be part of something that lifts us up because there is something personally meaningful about it. So, how do you develop sustained performance and satisfaction? Scratch the survey. Sit down and talk with your people about these five things and how each one is going. Then listen. Then, figure out together how to move things along the great curve of life. "I find out what people want and then help them get it." Do You Have The Commitment of A Gurkha? Even if you're a student of history, this one may have flown under the radar. Back in 1964 there was a confrontation between Malaysia and Indonesia. In his book One Crowded Hour, Tim Bowden tells about an incident that happened in Borneo during this time. "The Gurkhas usually agreed to anything, but on this particular day they provisionally rejected the plan. But the next day one of their NCOs sought out the British officer who had made the request and said they had discussed it further and would be prepared to jump under certain conditions. "What are they?" the British officer queried. "The Gurkhas told him they would jump if the land was marshy or reasonably soft with no rocky outcrops, because they were inexperienced in falling. The officer considered this and noted that the drop zone would almost certainly be over the jungle. No rocky outcrops there. So, they would surely be all right. Anything else? "Actually, yes," answered the Gurkhas. They wanted the plane to fly as slowly as possible and no more than a hundred feet high. At that point, the British officer explained that the planes always did fly as slowly as possible when dropping troops, but to jump from 100 feet was just impossible. The parachutes would not open in time from that height. "'Oh,' the Gurkhas replied, 'it's OK then. We'll jump with parachutes anywhere. You didn't mention parachutes before!" What does it take to have, or receive, Gurkha-like commitment and courage? My first sales management job was a disaster. The reason? I made things more complicated than they had to be. Armed with a combination of sales experience and theoretical models, I violated a rule to which I now hold fast: Find out what people really need and help them get it. The fastest way to confuse a workforce is to speak in grandiose, visionary language. People--including you and me-want to know, specifically, what has to be done as well as what "good" looks like. 2. Will you let me do it? This employee mental question is the result of too many experiences with managers who got in the way by doing #1 just fine and then jumping in when not needed. 3. Will you help me when I need it? Employees do want to know that it's ok to ask for help when the situation requires it; and, that they'll get it without judgment. Asking for help shows maturity and character; so does giving it. 4. Will you let me know how I'm doing? We all want to know where we stand with our boss. It's just plain uncomfortable not knowing--and not knowing can cause a well-intentioned employee to continue doing things the wrong way. After all, no one is indicating that anything should change! Remember: Performance is impacted the most by frequency and timeliness of feedback. What would happen if you--or your boss--paid attention to these four questions?